This week at Babies R Us you can pick up the lauded Chicco Keyfit 30 infant car seat for $149.99. It’s $199.99 and you’ll get an extra 25% off. You’ll see the discount at checkout. The matching Cortina stroller is also $149.99 after coupon. The biggest discount we usually see on Chicco car seats (unless they’re previous year’s models or closeouts) is about 20%, so this is a nice deal. 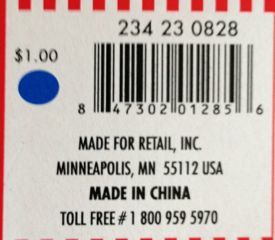 I’ve heard that the blue dot items in the Target Dollar Spot are now 70% off. If you don’t see at 70% off sign at your store, I would scan one of the items just to be sure. All $1.00 items will now be only $ .30. Let us know if you find some great deals! Head over and check out all the new Amazon Baby Coupons! Lots of great gift ideas if you are shopping for a baby shower! Head over and print this Chuck E Cheese Coupon! You will pay $19.99 for medium pizza, 2 soft drinks and 25 tokens! What a fun way to get out of the summer heat, at least for a couple of hours! Check out today’s Kids Woot deal! You can purchase this ABC Foam Playmat for $17.99! A friend of mine had these when her children were little and she loved them…. they made the trips and falls of the little ones a lot softer! Make ABC time fun for all with the textured Build + Play Alphabets Play Mat. This set includes the letters A through Z. 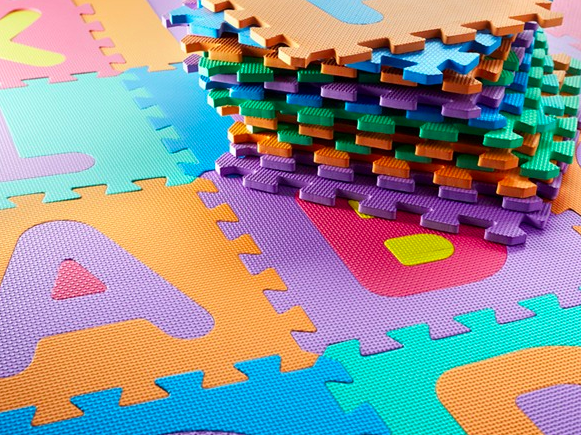 The soft puzzle pieces make the mat fantastic for classrooms, nurseries, playrooms or your child’s bedroom. Today, you can find a really great deal on this Baby Genius Multimedia Set. This normally retails for $55, but is is only $19.99 shipped today!! That is a savings of 64% off of the retail price. When you place this into your cart, you will go to checkout and enter your shipping information. Your order will be sent directly to you (no voucher to redeem this time around). That’s it! Would be a good one to pick up and even set back for a birthday or gift for this holiday season! Visit Group to learn more! *Still Availble* Kindle Fire for $129 Shipped! I wasn’t sure if the vouchers would still be remaining today or not, but they are! You can still order a Kindle Fire for as little as $129 shipped — regular price of $159! Just make sure to follow these steps so that you can get in on this fantastic offer! Visit Amazon Local and get your FREE voucher for $30 off of a Kindle Fire (check National Deals). Click the APPLY CODE button to have it added to your account. DO NOT make any purchase until you receive an email confirmation from Amazon that it is in your account and ready for you to use. Visit Amazon and find the Kindle Fire 7″ Tablet (note that this voucher will not work on the HD version). At checkout, your purchase price will be only $129! If you would prefer to get a Kindle Fire 7″ HD Tablet, you can still pick one up for only $169! Hurry over and get your voucher though before this offer ends! Once you have your Kindle, make sure you check out our list of Kindle Books — most of which are free!